Everyone enjoys the beauty a tree provides. From ornamental to shade to evergreen, trees are the basic element for any landscape plan. They can create shady conditions for planting flowers or act as the focal point within a specific area of the garden. But the wrong tree or one planted in the wrong spot can actually detract from the overall landscape. A tree is a long-term investment; don’t risk losing 5 to 10 years of precious tree growing time by selecting the wrong tree! Shrubs give seasonal color and texture to the landscape and are available in a variety of sizes and shapes. Flower and fruit displays, interesting foliage shapes and colors, and even bark color and texture add outdoor interest. Shrubs don’t just have pretty faces; they can serve a definite purpose as border plants, accent plants with seasonal color, wildlife habitats, or as screening against an undesirable view or for privacy. 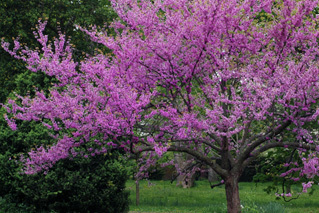 The right trees and shrubs can bring a sense of completion to your landscape design, but determining which trees and shrubs to choose can be a difficult decision. Landscaping with trees and shrubs is a long-term investment; don’t risk losing 5 to 10 years of precious growing time by selecting the wrong tree or shrub! 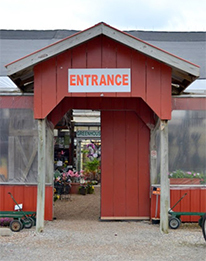 At Daniel’s we can help you select the best trees and shrubs to fit your needs and enhance your area, resulting in a landscape that is both appealing and functional. Our inventory is constantly changing please call for current availability.